It is not permissible to delay giving Zakat-ul-Fitr after the day of `Eid (i.e. 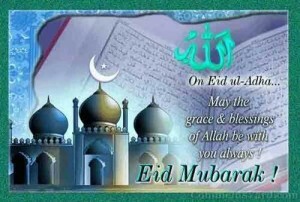 one may give it up to the time of the `Eid prayer). However, there are some jurists who think that it is permissible to delay giving it even after the `Eid prayer. The founders of the four schools of Fiqh hold the first opinion, but Ibn Sirin and al-Nakha‘i say that its payment can be delayed. Ahmad says: “I hope that there is no harm [in delaying the payment].” Ibn Raslan says that there is a consensus that payment cannot be delayed merely for the reason that it is a type of Zakah. Thus, any delay is a sin and is analogous to delaying one’s prayers without an acceptable excuse.